Statesville Haunted Prison is an aggressive interactive experience designed for adult audiences, and not intended for children or the weak. This haunted house takes you through the twisted chambers of the darkest creatures ever imprisoned, with over 175 live prisoners attacking you at every step, over 40 horrifically detailed rooms with an average time of 50-60 minutes required to get through its oppressive walls. Statesville Haunted Prison is less then 35 miles southwest of Chicago, near Joliet, and sits in the shadow of Stateville, Illinois Maximum Security Prison Stateville on Siegels Cottonwood Farm on Weber Rd. This Halloween season, dont just go to any haunted house, go to Chicagos Scariest & most entertaining Haunted House experience in Illinois and face the beast that is Statesville Haunted Prison. 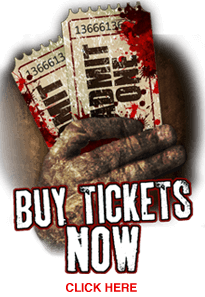 Statesville Haunted Prison, Illinois most acclaimed haunted house and winner of the 2015 Best Haunted Attraction award from HauntedHouseChicago.com, continues to lead the way in scares and screams this Fall. Every year, the Statesville team changes over 30% of the attraction; new rooms, new characters and new screams. In 2017 our victims patrons can look forward to the new Maniac Ward. Travel through 7 newly opened rooms where The Doctor pursues the true nature of evil in the twisted experimentation of the round house cells of WARD 7. Sniper Zombie Paintball is back for this 2017 season! Such a great addition to our haunted experience! The Sniper Zombie Paintball Ride is a completely revamped, fully interactive, 12 mile long ride on a real army troop carrier truck equipped with 22 precise sniper paintball guns, over 100 Targets, Animatronics, & LIVE Zombies. It more than a ride, it is an interactive experience you cant find anywhere else! Actors are good but there are other attractions that are worth the money and will give you a real scare. Not very scary like the reviews stated. I went with a big group of my friends and we all were terrified! Once you walk in the property, random actors will come up and scare you. It makes waiting in line enjoyable. When I got in the house, I couldn't stop screaming because I was so scared. My friend had a bruise on her arm from me squeezing her to hard. I was so scared throughout the house that I cried from fear and might've peed a little... Best haunted house I have ever been to!